It’s not as surprising these days to find Scandinavian artists who have clearly been influenced by their parents’ love of folk and rock from America and the UK. 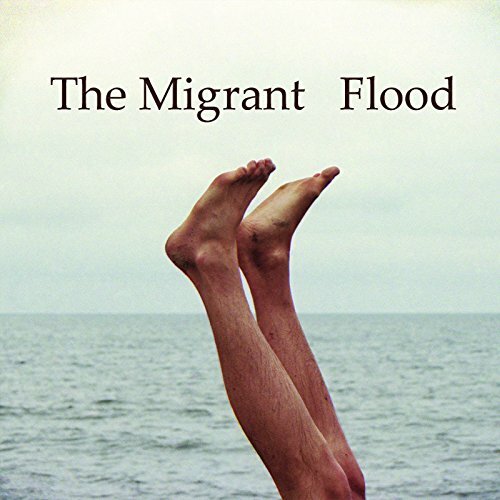 The Migrant sees Bjarke Bendsten pulling together musicians to create their fourth album Flood. Right off the bat you get the impression of a band confident in what they’re doing, no less capable or captivating than their peers. ‘Climbers’ features airy vocals and an undercurrent driven by a skittish snare, and you’ll somehow find yourself singing along to the rousing tune. There is a very much a 60s folk sound here, the hippier the better it seems. ‘Silence’ is a heady swirl of elongated strums and slow riffing, the vocals are at their dreamiest here, the kind where Bjarke must have his eyes closed as he strums along. ‘Belly of a Man’ is the kicked-up twin, featuring similar vocals but with much more drive about the music itself. “The birds wants freedom, the stone wants peace” is the kind of lyrical fare you can expect, and whether it’s your cup of tea or not it’s well delivered. ‘Haunted’ sounds like it was written in a carnival house of horrors, with thick bends and a growing sense of dread in the reverb soaked vocals - it’s a more controlled version of something you’d expect from The Felice Brothers. To say this band can hit the middle of the road sound which is popularised by Fleet Foxes, Fionn Regan and Midlake is no bad thing, this is the kind of folk-rock which is hard to turn off. If tracks like ‘Tiger’ and ‘Give Up’ take a little too long to really get going you can probably chalk it up to being part of the bigger picture, because there is certainly an audience for this type of music right now. This is a well-crafted, honed album which will play well acoustically and in electric. Some may find the vocals too sleepy or whitewashed at times, but you can see what is being attempted and with a little more attention to these edges would make this a knockout. Seems the Scandanavians are at the forefront of musical innovation in 2015. Nice review.